We provide vision screening in several of our local preschools for 3- 5 year olds. Our purpose is to detect amblyopia early which can then be treated by their doctor. This disorder decreases vision in an eye that otherwise typically appears normal. We provide gifts and party supplies for Tri-Valley Haven children to celebrate their special day while they are residents of the shelter. 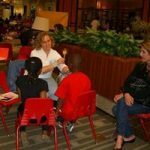 We provide take-home reading books and activities for local foster children. 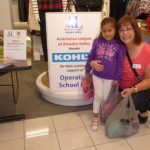 Elementary students in need, Kindergarten through 5th grade, are brought to our local Kohl’s store to “shop” for brand new clothing. They all leave with a huge bag of new clothes, wide grins and a renewed sense of confidence. 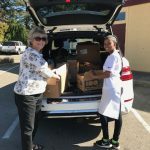 We shop for and supply food to our local Tri-Valley food pantry. 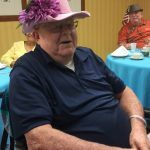 Our members can be found organizing and leading social activities for Seniors in Tri-Valley, serving lunch, or managing the magazine library. In addition, we participate in Book Buddies where members and seniors are paired up with second graders from local elementary school children for reading sessions.